Nathan's Real Estate Notions: 40% Decline in Underwater Properties! 40% Decline in Underwater Properties! FOR SALE: 83 Lester Ave in San Jose $799,000 – Cute Willow Glen Charmer! Light bright and ready to go! Come and see this quaint Willow Glen charmer with coffered ceilings, arched doorways, and antique style windows. The home features hardwood floors, a large basement, a large lot, and an enormous garage. Recently the home has been fully painted and prepped for a new owner. Low maintenance front lawn, plenty of room in the back for plants or a garden. Take advantage of this great home walking distance to downtown. The lot is also zoned Multi Family. CALL ME to arrange a private viewing. PRICE REDUCTION: 19820 Graystone Ln in San Jose $1,100,000 ($100,000 price drop!) – Build your own custom dream home at the top of Graystone Ln with spectacular views of Almaden Valley. A serene and private 1+ acres lot nestled on top of the hill awaits your design. Top rated/Blue ribbon Almaden Schools, Graystone, Bret Harte and Leland. Recent conceptual plans for development are available. Ample room for a pool and all other fun backyard amenities. CALL ME to arrange a private viewing. BACKUP OFFERS NEEDED: 702 El Granada Blvd in El Granada $865,000 – This beautiful home is situated above the fog line, near the top of the hill in El Granada. Surrounded by mature trees and lush landscaping the property offers complete tranquility. Featuring 2,440 square feet of living space with an open floor plan, the home boasts dramatic high ceilings, gleaming hardwood flooring, gourmet kitchen and remodeled bathrooms. The terraced rear yard is highlighted by a waterfall and boasts spectacular ocean and harbor views. Located in the El Granada school district which includes El Granada Elementary, Manuel F. Cunha Intermediate and Half Moon Bay High School. CALL ME to arrange a private viewing. Settled a last minute deal breaking issue before closing escrow. Negotiated a sale bringing in $15,000 more than market value. Helped a home buyer navigate some financing guidelines to help determine eligibility. The markets are slowing down, ever so slightly. This month we have seen about 100 more homes on the market as compared to the same time last year. 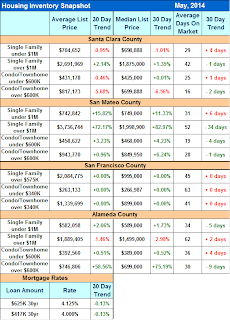 FIFTH month in a row where more listings came on than sold in San Mateo County. 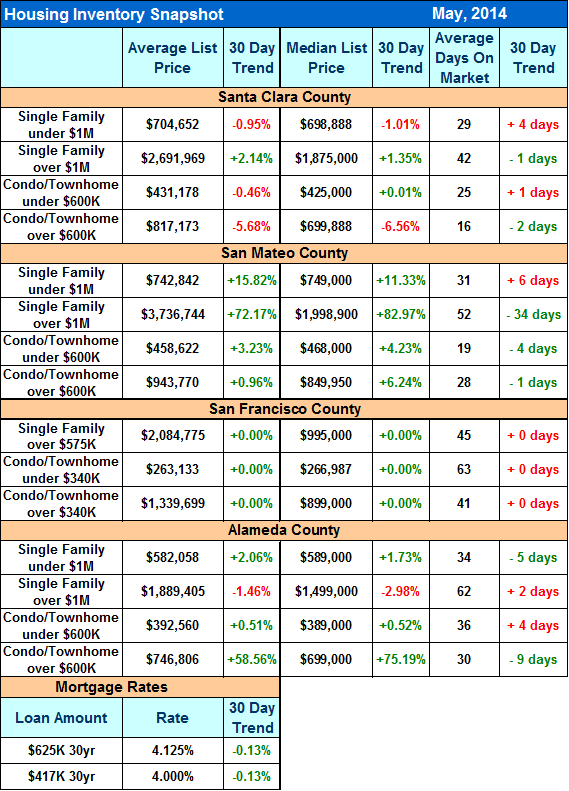 San Mateo County is also experiencing a slight slowdown in the markets. CALL ME IF YOU NEED ANY SPECIFIC INFORMATION.